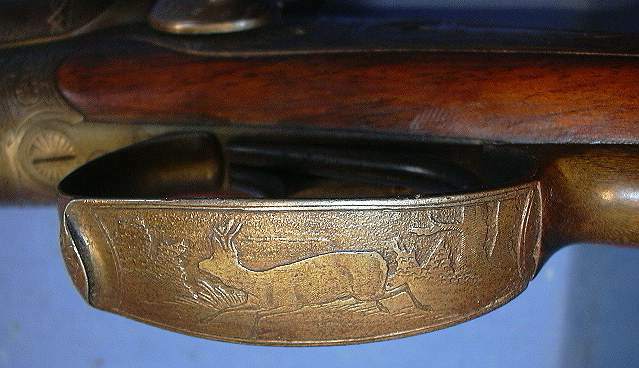 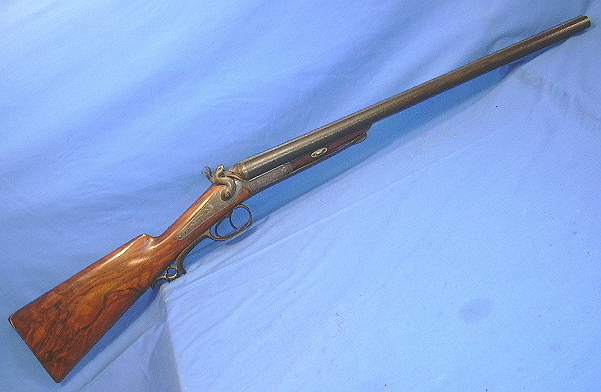 ANTIQUE GERMAN SXS 16 GA. 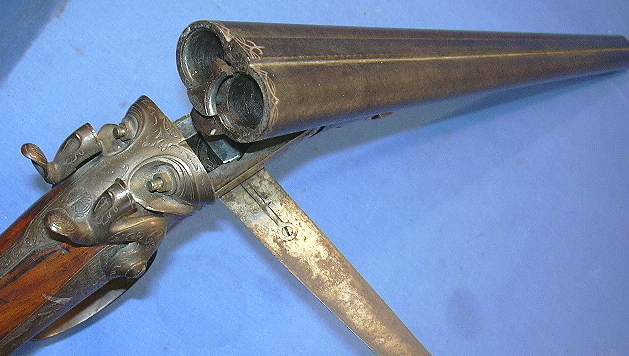 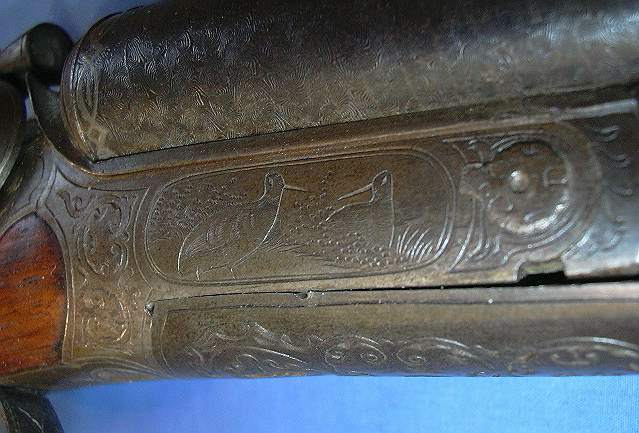 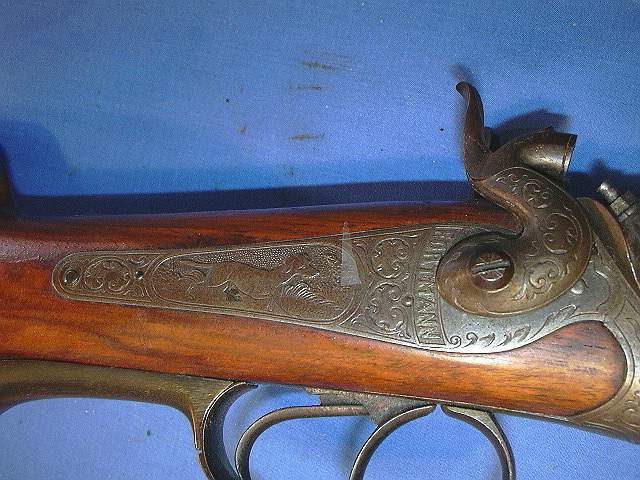 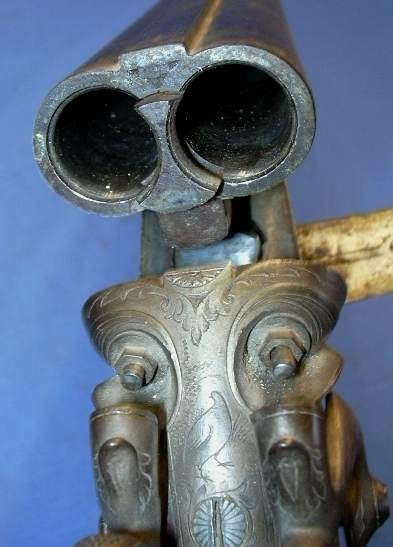 DOUBLE BARREL UNDERLEVER SHOTGUN BY FORTMAN of VECHTA. 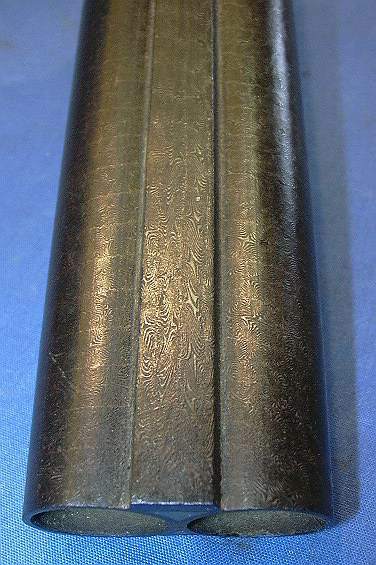 21.75" DAMASCUS BARRELS, RIBS TIGHT. 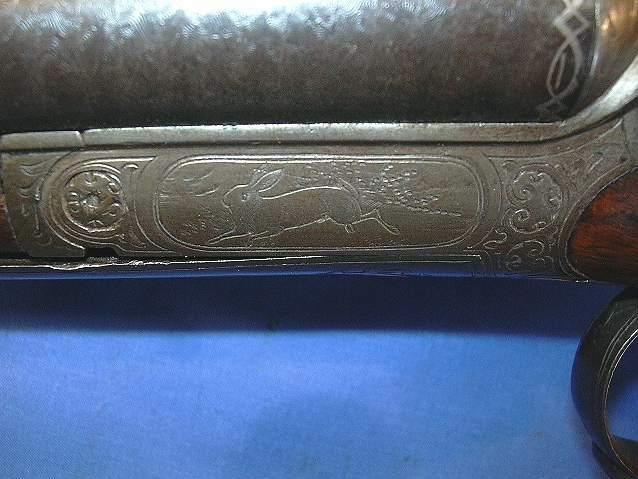 BEAUTIFUL HAND ENGRAVING WORK. 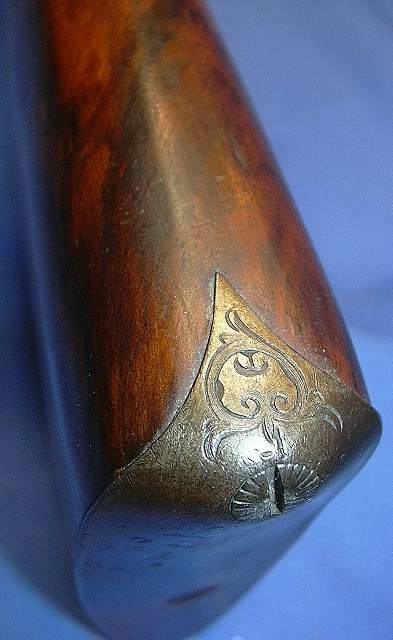 FULL DAMASCUS PATTERN ON BARRELS ALONG WITH SILVER INLAY. 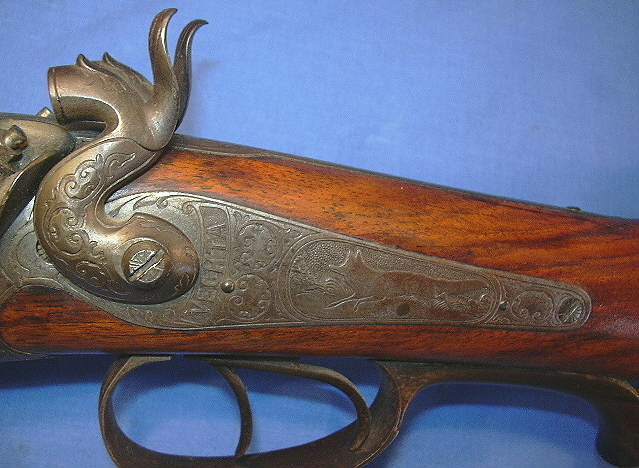 TRIGGER GUARD A COMBINATION OF ANIMAL HORN & METAL. 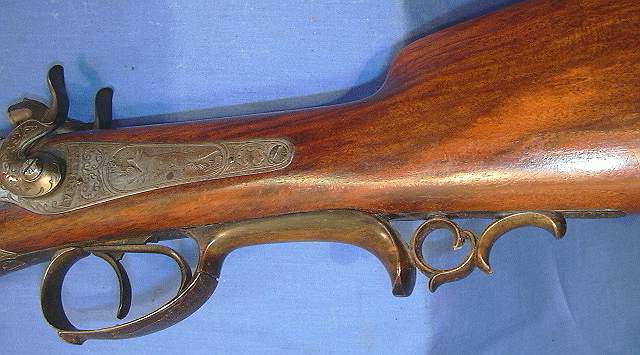 STOCKS HAVE NICE FIGURE & FINISH WITH MINIMAL HANDLING MARS, LOP 14". 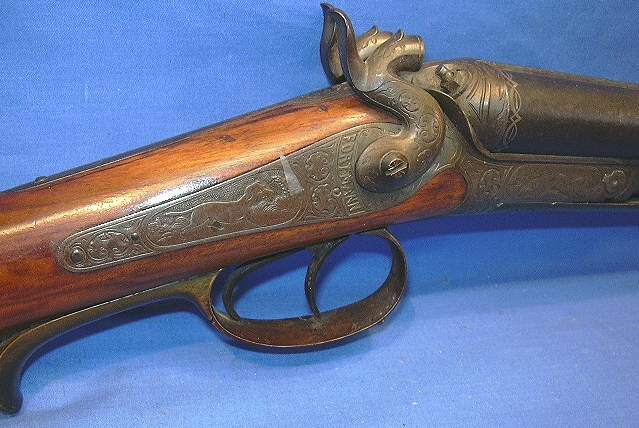 Thanks to "BARSALOW AUCTION" for the pictures.